David is an expert in planning asset acquisitions, managing projects of up to $100m across the financial, real estate and consumer space. What are the seven factors that founders need to be prepared for when raising money? Passion: For the project and ambition of where it can go. In simple terms, what investors look for is evidence of the financial commitments and sacrifices already made by the entrepreneur. Traction: There must be a proof of concept to show investors, which validates the commercial viability of the idea. This can be a crude MVP and not necessarily the final product. Significant market size: More customers and/or frequency of purchasing is an important commercial distinction to emphasize. An investor will not be interested in funding a beautiful product that has a tiny market of available buyers. Competitive advantage: When elaborating how you will be better than the incumbent, you must take time to dig deeper and not just say "because we will work harder." How do certain geographic, cultural, or strategic advantages play into your hand? Team: It's important to show investors that there is not a concentration risk on one person and that a team has formed that is both complementary and efficient for delegating appropriate tasks. Exit strategy: Have an idea of where your company can go to in the future. Balance naive and empty assertions of IPOing within three years with a more pragmatic approach to potential strategic partners. Give thought to your projections and consider the importance of elements such as unit economics. X-factor: Investors look for intangibles, such as character, charisma, and ethics. Be natural and do not try to be something that you are not, but always be consistent with your behavior, as an erratic change can be a warning sign that loses the deal. Where can you look for financing? Angel investors invest small amounts but nowadays have good visibility due to online databases. They tend to side more with investing in people that they believe in over finished products and hard metrics. Venture capitalists invest larger amounts and can really help to accelerate growth, but they take time to persuade and their involvement will usually result in giving up a larger element of control in the business. Crowdfunding has been made accessible due to the JOBS Act and is a great option for businesses that are in the B2C space, as investors tend to become evangelists for their product. Debt is always possible, even for startups. It does, however, come with the proviso that it has to be paid back within a period of time. The Small Business Administration has a selection of debt options that intend to help small companies kickstart their growth. Be selective and network smartly. Focus on quality over quantity more than trying to raise money from every potential option. By being prepared in advance, you will also ensure that you don't get caught out if an opportunistic moment arrives unexpectedly. Show me an entrepreneur, and I will show you someone looking for money. While it may be hard to build a better mousetrap, it seems to be even harder to find someone to invest in it. Business founders are continually looking for the right connections, be it the right networking contact or the third party with credibility that can introduce them to the right person who has money burning a hole in their pocket. However, at the end of the day, it’s less about who you know and more about what you’ve got. Of course, everyone knows and is envious of the stories of entrepreneurs who casually completed a seed funding round within ten days and then five years later were trading on the NYSE. Yes, occasionally a Cinderella story happens, but the harsh reality is, there is no real shortcut to funding. Investors know that about 20% of new ventures fail in the first year, 30% fail in the second year and by year 5 about 50% of them have shuttered. Accordingly, investors are cautious and doubtful by nature. Startups need to know how to attract investors if they want to get funded by them. In this article, I have pulled together the lessons learned from my own experiences with a discussion of the key items investors look for when making an investment decision and some ideas on where to look for financing. Having a passion for their startup is pretty easy to come by for business founders. They believe in the product/service they want to provide. They are confident that it is an improvement over existing products or is a new way to address an old problem—in other words, the better mousetrap. But how deep is their passion? Are they willing to be told “No” over and over and over again and keep going? To Paul Liben who said yes when we brought 1,000 pounds of sand, two goats, and a chicken into this theatre. To all the people out there who dream about doing what I do and what everyone else in this room does. Do not stop asking your question—you can get your yes. However, while most investors want and appreciate passionate entrepreneurs, they are also looking for someone willing to invest their own money. When I was working in real estate and equipment lending, I was approached by a man who wanted to open a kiwi farm in Georgia. He said when the New Zealand growers were having winter, Georgia is having summer and he’d have the kiwi market to himself. He had found the land to purchase, he had a list of equipment to be purchased, and he had identified fruit wholesalers who could buy his crop (although he had no commitments). He expected he could sell kiwis for 50 cents apiece. All he needed was 100% financing of the startup cost. I told him, “What you have is an idea, not a business.” By the way, that was about 20 years ago and I’ve never seen kiwis sell for more than 33 cents, ever. As a founder, you will have to raise the initial capital yourself. You can do this from your own savings, borrowings, family, friends, etc. But you must be willing to demonstrate you believe in product/service enough to invest your own money. You will have to get the business off the ground on your own. Most of the time, a new venture will have to demonstrate that it has a marketable product or service—typically, having begun operations and demonstrated significant ability to sell the product or service. In some way, the venture must have a “proof of concept” to show investors. I consulted for one startup that wanted to, essentially, pay people to watch targeted advertisements. They tested the market by collecting links to advertisements on YouTube into various categories, and then paid people a few cents to watch ads in categories they found relevant to them. It turned out that people were willing to watch ads if you paid them; thus, they believed people would watch ads if they received real value. The business was able to raise seed capital and get the attention of a VC firm who seriously considered funding the platform. Unfortunately, it turned out that, while people would watch ads for money, they wouldn’t always watch them for value in kind. Nevertheless, the fact that some degree of traction or proof of concept had been achieved was the reason the platform was considered for funding. Most investors are looking for a business opportunity with growth potential. Accordingly, if your market is only the 25 miles around your headquarters, your growth is limited. You need to have a market with significant reach, at least regionally depending upon the nature of your product. If you’re selling surfboards, you clearly only have a regional market along the coastlines, but given the total market for surfboards, that may be sufficient. Not every product is going to have a worldwide market like the iPhone. However, a large enough market where the economies of scale can be incorporated into your operations to increase margins and profits will be needed to attract investors. If the product is not new but a new entrant to an existing market, the same issues hold. However, it is assumed that any market share you attain is coming from some other competitor; thus, your competitive advantage must be demonstrable. This is going to be a critical issue for investors. What makes your product/service unique? There has to be something about your product that sets it apart. If you have a never before seen product and you’re the first to the market, that may be it. However, most startups are entering existing marketplaces. What then makes you different? Consider MVMT watches. This company recognized that there are many, many quality timepieces in the market. Their approach was to provide high-quality timepieces without high prices. Their competitive advantage: affordable price for equal quality. By contrast, Rolex positions itself as the leader in quality and design, which justifies their premium price. Their differentiator: They believe they have the best product in the market. In addition to consulting, I also teach in local universities. One class I teach is entrepreneurship. Each student must prepare a business plan for a real business idea (or one they make up for class). Several of these business plans are for very modest businesses, but often businesses that already exist, such as hair salons, restaurants, or landscaping companies. One plan was for a hair salon that catered to the African-American community. When I asked about competitive advantage, the student told me that her town has a 40% African-American population, but the closest competitor was 45 miles away in St. Louis. Her competitive advantage was physical location within her market. In an effort to save cost, most startups have very limited staffing: often only one or two founders of the operation. Whether a business has one or ten employees isn’t so much the issue—it’s whether or not the business has sufficient key employees covering the most important areas. For example, if your business is developing the next use for blockchain technology, do you have someone on staff that is an expert in blockchain? You must have an expert in the technology or market you are entering. And as the founder, have you delegated authority to the experts? No person has all of the skills necessary to run a business successfully. However, founders of businesses are more like parents when it comes to their business (i.e., it’s their baby). The founder(s) too often try to wear all the hats and centralize the control with themselves. Investors find comfort in a business that has a team in place, where team members have expertise and have been given enough authority to oversee their area of operation. It is recommended that such a model be prepared with monthly level detail, as this allows for monthly cash shortfalls to be identified. I have prepared models where the business had positive cash flow for the year but negative cash flow for the first several months. Preparing models with annual integrity can mask these details and potentially underestimate the cash investment required. Investors do not like it when you have to come back for more money because you underestimated the need in your modeling. Essentially, investors want to know when they will begin to see a return and how large a return they can expect. Including a capital budgeting analysis and a full ROI analysis will address these concerns. Often, it’s not prudent for a startup to hire a full-time financial analyst in its early stages. It’s far more effective to bring in de-facto experts who can assist with building out a financial model and pass on best practices to the founding team. Have you ever sat next to someone on a plane, and when the conversation starts you find you have very little in common professionally or socially, but for some reason, you just seem to connect? That’s the X-factor. Sometimes when you meet with investors, there’s a connection that you cannot explain. Maybe it’s personal chemistry. Maybe it’s finding a common connection like you are in the same fraternity or know the same people. You cannot plan for the X-factor, and you can’t seek it out. However, if you find it exists, it will benefit you. The best way to find out if the X-factor exists is to be authentic in your presentation. Don’t be uber-professional. Be you. Be the entrepreneur who has an idea—an idea that can be socially beneficial and/or financially beneficial. Talk with the investors, not to them. And listen to them. The questions they ask and the comments they make will tell you what they find important. Listening will also lead to the identification of those things that signal whether or not the X-factor exists. I, along with several associates, once spent the day with a man who controlled the funding of a potential business acquisition we were considering. During the day, we learned about him professionally, but also personally. We developed an understanding of what he valued in business and in life. I felt there was significant common ground between him, myself, and my associates. However, that evening at dinner, our CEO, who had not been with us that day, told a joke that directly insulted the financier. All of us who had gotten to know the man knew this joke had now destroyed any X-factor that may have existed. It did. We received a letter stating he was not going forward with the project. His reasons were a bit vague, but most of us knew that the loss of the X-factor was the cause. Up to that point, we were getting a strong feeling this deal was going to go forward. To be sure, the poor choice of humor by the CEO probably would have killed the deal anyway, but to have felt the connection—the X-factor—and then watch is disappear was unfortunate to experience. Where Do I Look for Financing? So, you’re a business founder passionate about his product, who has skin in the game, in a market space that allows for significant growth opportunity, with a definable competitive advantage and an expert team in place with the authority necessary to execute the business and a defined exit plan. Where do you find someone to finance your business? Unlike venture capitalists, who typically raise funding from other investors, angel investors usually invest their own money. Like most investors, angels have specific types of firms that interest them. One good way to find potential angels is to review a database such as Angel Investment Network. On this site (and similar) you can upload a pitch to be found by potential investors, research, and connect with potential investors. Angel investors often invest smaller amounts, usually in the $25,000 to $100,000 range. So, depending upon the amount of funding you need, you might need to identify more than one investor. I worked for an online advertising based startup. We had about 20 angel investors with varied investment amounts. Angel investors are often “one-time” investors that help you get off the ground. 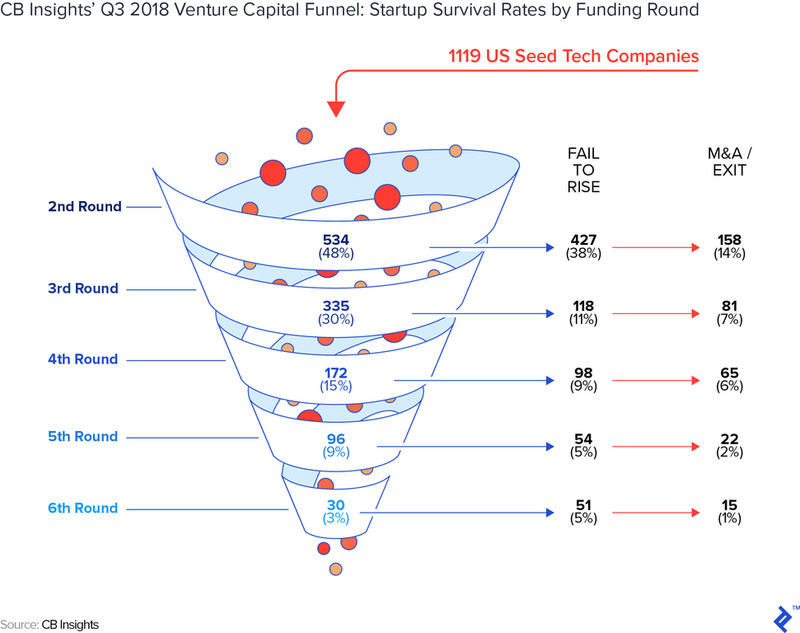 They will be looking for an exit strategy, either through an IPO or if you obtain growth funding from another round of equity offerings. Venture capitalists (or “VCs”) often invest significant amounts of money: In 2017, the median deal size was $18.7 million. VCs often take an active role in the management and guidance of the company. A few years back, I worked for a VC-funded cable company. The VC took a 90% equity stake and was granted two out of the five board of directors’ seats. However, they funded us with $60 million. Forbes has a good article that further elaborates upon the dynamic of working with VCs. What do venture capitalists look for? Well ultimately, VCs will be looking for an opportunity to exit their investment within a defined period of time, often via IPO. Historically, only accredited investors could buy stock in privately held companies. Accredited investors are, essentially, high net worth individuals with significant experience in the investing arenas. However, in 2012, then US President Barack Obama signed the Jumpstart Our Business Startups (JOBS) Act into law. Having fully implemented in 2016, this law allows for non-accredited investors to purchase stock, provided that they do so through an approved crowdfunder like Start Engine1. Many startups have expressed that using crowdfunding was a good alternative to traditional methods of fundraising. For additional information about crowdfunding, I would recommend this article. Obtaining equity financing will (often) require founders to give up a portion of their equity in the startup. Sometimes, an investor will require a majority stake and the right to appoint board members. To some founders of startups, this isn’t acceptable. In such instances, it might be preferable to pursue debt financing. Many startups are actually funded by the borrowings of its founders who borrow money using their personal credit. This may come in the form of using personal credit cards or borrowing on personal loans. Traditional business loans from commercial banks are a possibility, provided that the business can demonstrate how it will generate cash flow to repay the loan. It is important to remember that commercial loans often come with covenants, which means a business will need to do more than make a timely payment. Often, bank covenants will require the business to meet certain ratios such as a Times Interest Earned Ratio or Current Ratio. Other covenants might include a prohibition of additional debt without permission of the bank. If the business fails to maintain these covenants, it may be deemed in technical default, even if the payments are current. So, while bank loans do not require an equity give up, they may still put operating constraints on the business. 7(a) Loans: Small business loans that can be used for many many business purchases, such as working capital, business expansion, and equipment, inventory, and real estate purchasing. Loan amounts can be as high as $5 million. Microloans: Small loans, with a maximum of $50,000, which can be used for working capital, inventory, equipment, or other business projects. CDC/504 Loans: Large loans used to acquire fixed assets such as real estate or equipment. 504 Loans are offered in partnership with Community Development Companies (CDCs) and banks. The SBA does not make loans directly but works through participating lenders. Whether you’re looking for angel investors or VCs or bank lending, find the investor that has invested in projects like yours. Look for investors with a history of investing the amount of money you are seeking. Never use a shotgun approach and send a financing request to every firm you identify. Choose carefully, specifically, and wisely. Make it clear you contacted the investor for a reason (other than because you need money). Once you have identified potential investors (equity or debt) it is always a good idea to try and find a connection to the firm. Investors receive many, many unsolicited investment pitches, and sometimes the connection happens. But it is always good to be introduced by a mutual connection. In your networking, look for personal contacts that you have with the firm, whether it be from professional associations, social organizations, or even old college roommates. Identify a contact with the investor and then see if you have mutual contacts on networking sites such as LinkedIn. Be prepared to talk about your business. Have an elevator speech ready. If someone were to ask you to describe your business and your need for financing in 30 seconds (or the typical elevator ride) what would you say? Prepare this speech and practice it. Be ready to give it at a moment’s notice. Give investors a way to find you. Even in this era of digital communications, I still recommend using the good old-fashioned business card. 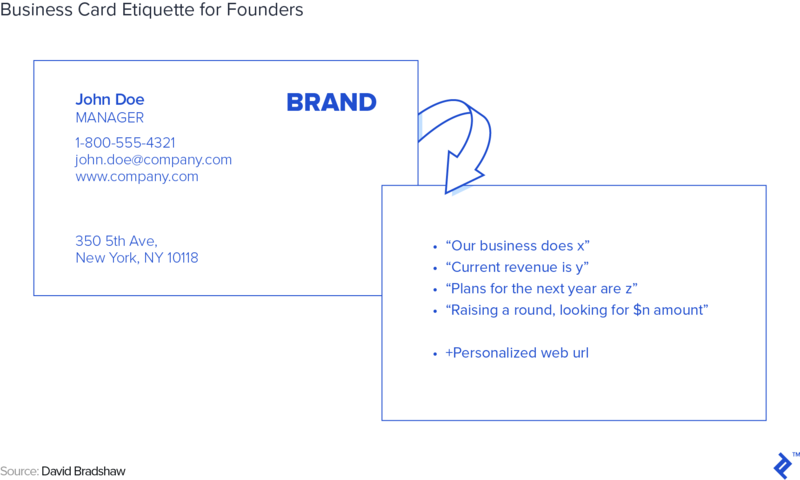 However, while the front has contact information, use the back of the card to present bullet points about your business and be sure to provide a web address. However, don’t give them the link to the homepage; give them a link to an investor-oriented landing page. Make them feel they have been given access to the “back of the house” and are not expected to come to your front door like everyone else. Whenever you have a discussion about your business, give a business card. Maybe the person you give the card to is not an investor, but they may pass it to someone they know. 1 The reference to any investor, investment service provider, link to their website, or other comment is not to be considered a recommendation or promotion of any kind or nature by the author or Toptal. These companies or websites are simply referenced as examples. Crowdfunding is the process of raising a round of equity financing from a large pool of investors, which typically invest small amounts. This can include non-accredited retail investors. The crowdfunding agent markets the investment and then collects proceeds on behalf of the invested company. What is venture debt financing? Venture debt financing can include specific loans that are risk adjusted for early stage companies. It will likely carry a higher interest rate due to the risk and/or come with covenants to convert into equity or grant warrants under certain circumstances.